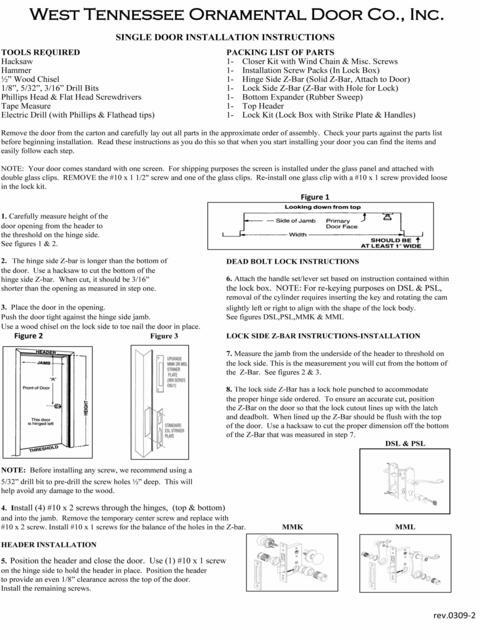 Instruction to help you install your door, lock and closer. 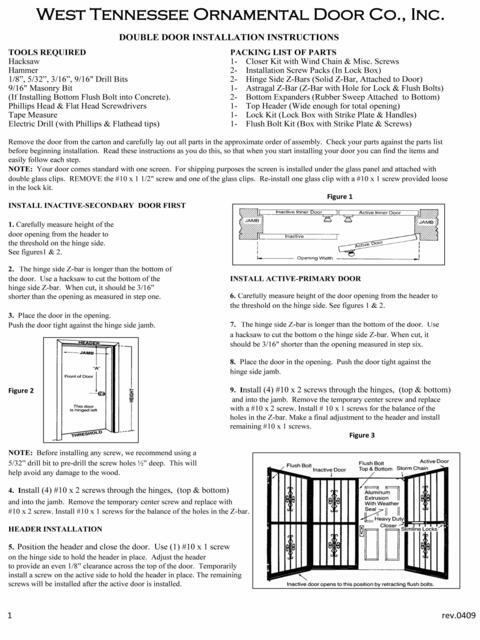 Install your door with clear and concise directions to make you project a success. 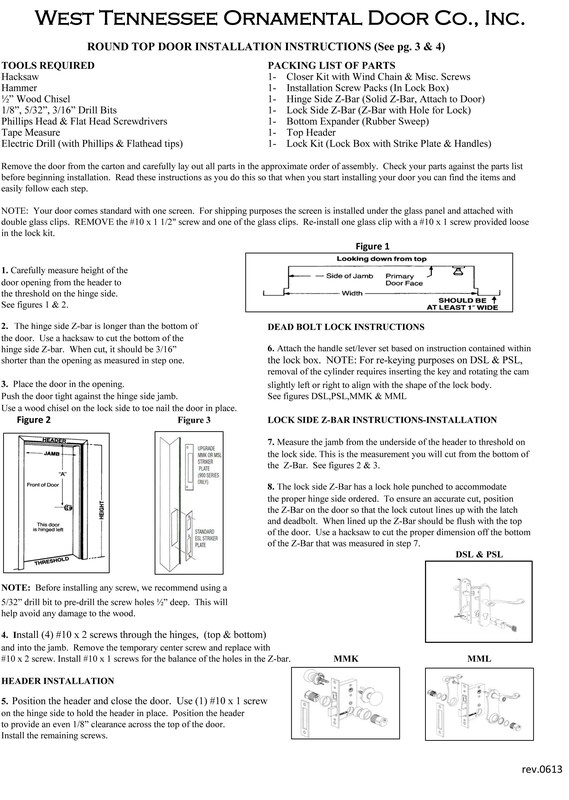 Follow the step by step instructions and you will accomplish your installation with ease. Install your Round Top or Arch Top Doors with confidence. Purchase you Security Door from WTOD and your project will be a success. 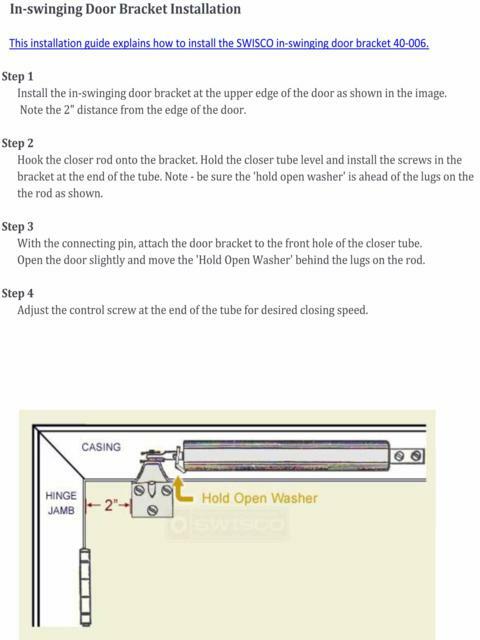 Shows you how to install the optional Wright Products Closer In Swing bracket.